These blocks have the strength and durability to meet the requirements of racing and cruising. 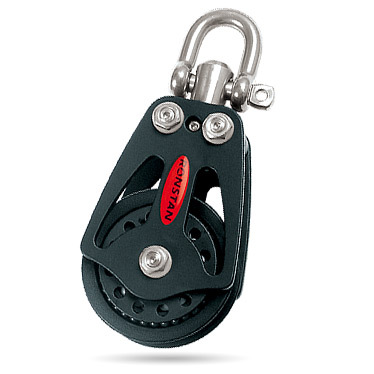 Block cheeks are manufactured from the highest quality alloy for maximum strength. The cut-away design minimises weight and allows easy fresh water rinsing of salt and debris from the bearings. Blocks can be disassembled for servicing or customisation.